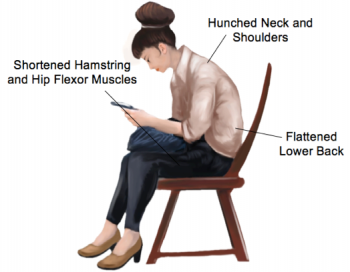 Here are a few stretches you can do every day while seated that will help to reverse your posture. Try to do these stretches every few hours during a working day. You should not feel any pain with these stretches. Speak to your physiotherapist for a customised stretching routine that you can implement into your day at the office or for more tips on how to perform these stretches to maximum effect. None of the information in this article is a replacement for proper medical advice. Always see a medical professional for advice on your individual condition.